When e-cigarettes first came on the scene as a smoking cessation tool, many doubted their effectiveness, leading many a smoker (and even anti-smokers) to scoff at the idea of making the transition. However, a new report from Public Health England (PHE) has shed light on just how useful they are in getting people to quit. The report, undertaken by researchers at King’s College London, is the first in a new trio of reports, commissioned by PHE under the Government’s Tobacco Control Plan for England. Refreshingly, it looks at the use of e-cigarettes, instead of any potential, yet unproven, health impacts. One of the main takeaways from the report is that regular e-cigarette use among adults has levelled out, as the focus of smokers and ex-smokers is still to quit smoking overall. E-cigarettes and e-liquids have proven themselves as an incredibly effective way to quit, but only 4% of attempts through Stop Smoking Services in England are made using them. Shockingly, despite e-cigarettes being the most noted way to quit currently, over a third of smokers still haven’t tried using them. There’s clearly a huge opportunity here for many more people to experience the freedom that vaping can give you and eventually lead you to give up smoking entirely. Furthermore, despite reports from the US suggesting that an epidemic of teenage vapers is among us, the story doesn’t ring true for youngsters in the UK. Experimentation has indeed increased among young people, but regular use still remains low. Just 1.7% of under-18s use e-cigarettes weekly or more and the majority of those also smoke. For young people who’ve never picked up a cigarette, only 0.2% use e-cigarettes regularly. 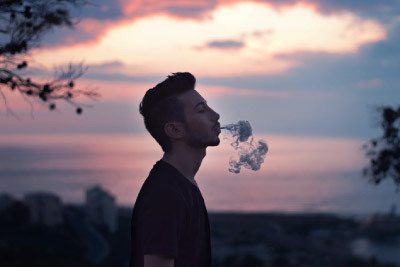 “While more young people are experimenting with e-cigarettes, the crucial point is that regular use remains low and is very low indeed among those who have never smoked. In stats sure to please those who’ve kicked the habit and want others to do the same, smoking rates have continued to fall among adults and young people, with just 15% of adults in England now smoking, according to Government stats. Fantastic news! Another recently published trial found that e-cigarettes, teamed with one-on-one support, is potentially twice as effective for quitting smoking as other nicotine replacement products like gum or patches. Hopefully, Stop Smoking Services in England will heed the recommendations from the report, which include encouraging those who wish to quit via e-cigarettes to do so. Together, we can help more people start the journey to a healthier lifestyle and stamp out smoking entirely.